As we come out of a sunny Australian Summer, many women may look in the mirror and note new sun pigmentation spots or more noticeable blotchy pigmentation on their faces. Melasma is one of these hyper-pigmentation disorders which is a growing concern for many young women. Taking care of your skin is paramount in this Australian environment and there are many lighter skin types who may struggle with daily cosmetic camouflage of this facial pigmentation. This article is part of our “SKIN IS IN” campaign to increase women’s confidence about their skin, improve community skin education and reduce heavy reliance on makeup for camouflage of skin pigmentation conditions. In this brief medical tour of melasma, we explain the treatment options available for women with melasma in 2016. In the past, this condition has commonly been managed by paramedicals and the beauty industry. Should be managed with the same degree of importance as other chronic skin conditions by their general practitioners. Melasma is a chronic skin disorder that results in symmetrical, blotchy, brownish facial pigmentation. It is more common in women and typically occurs between the ages of 20-40. The cause of melasma is complex. The pigmentation is due to overproduction of melanin by the pigment cells, melanocytes, which is taken up by the keratinocytes and deposited in the dermis. 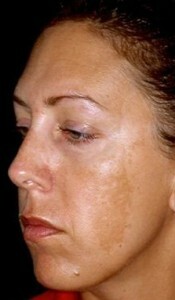 Melasma commonly arises in healthy, non-pregnant adults and persists for decades. Exposure to ultraviolet radiation (UVR) deepens the pigmentation because it activates the melanocytes to produce more melanin. Generally a combination of treatment options are required. There is a high risk of recurrence and sun avoidance important in prevention of recurrence. Our Doctors generally recommend that we discuss options to discontinue hormone treatments that may be contributory. For many women this means a lengthy discussion about the combined oral contraceptive pill (COCP) and what other options for contraception are available which are unlikely to further exacerbate their melasma. Sun protection advice and skin conditioning advice. Understanding Cosmetic camouflage and product choices. There are whitening creams that are often used as treatment and or prior to use of laser treatments. Common ingredients we use in our topical formulas are Hydroxyquinone 4%, this inhibits tyrosinase, an enzyme involved in the production of melanin. It is often used as a lightening cream in combination with other ingredients such as kojic acid or azelic acid. Oral Tranexamic acid for example, has shown to provide rapid and sustained lightening in melasma by decreasing melanogenesis in epidermal melanocytes. 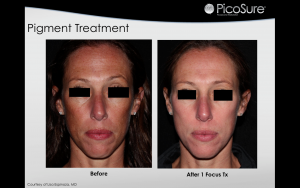 Laser treatments are effective for melasma. Evidence suggests, patients should be pre-treated with tyrosinase inhibitor topical treatment prior to laser treatment. 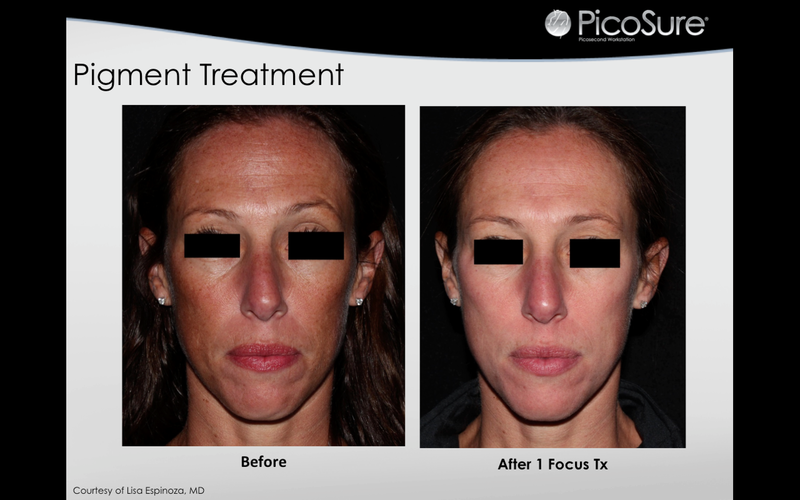 PicoSure focus lens treatment for melasma and pigmentation has the minimum amount of down time and has been nicknamed the lunch time laser. Our practitioners understand laser medicine and will discuss the available options of lasers treatments, various costs and differences. Some types of medical grade lasers also have medicare rebates. To assist with choices in laser, medicare rebates, safety for skin types, how many treatments and effectiveness of treatment, we suggest you discuss with a suitably qualified Doctor. Dr Bekir is Clinical Director of Taylor Clinic and E4 Health and is a General Practitioner with special interest in cosmetic medicine and skin medicine. Taylor Clinic has Sydney’s largest array of available Lasers on offer for patients and is committed to providing the best evidence based treatments for skin conditions such as Melasma. Taylor Clinic is working in conjunction with the Doctors at e4 Health to find accessible medical solutions for skin disorders facing Australian women today. Dr Bekir believes Melasma needs to be addressed seriously and requires a comprehensive medical solution to a growing medical concern. To speak with our Doctors, please contact 1300 00 FACE. Double Bay, Bella Vista and Wollongong. To discuss our laser treatments and which are medicare rebateable or which are BULK BILLED, please make an appointment with our team.